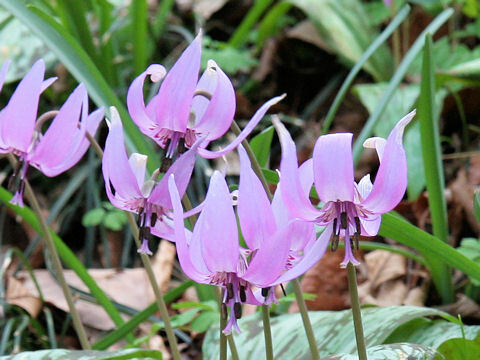 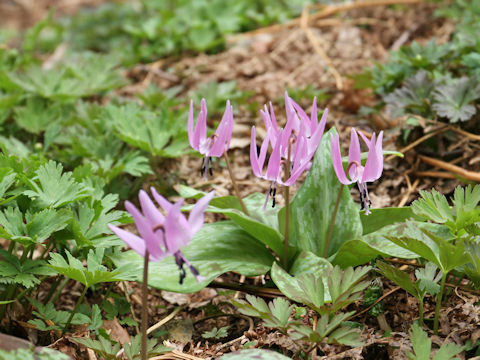 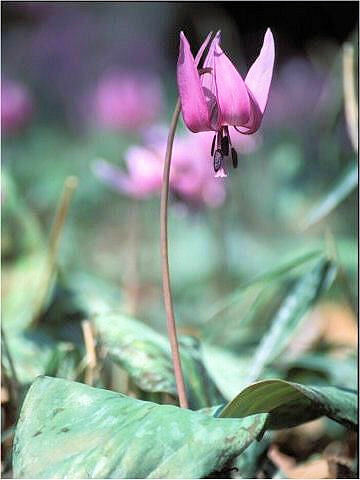 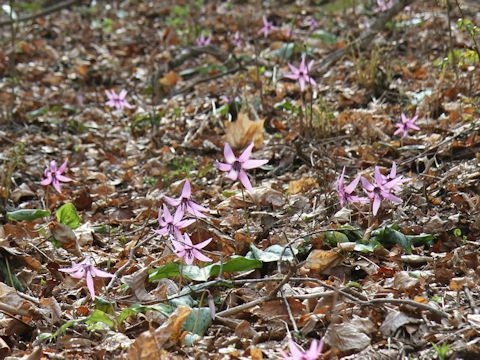 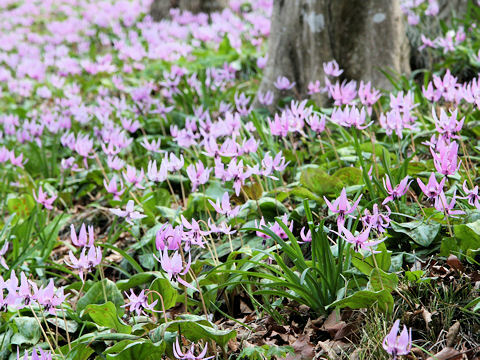 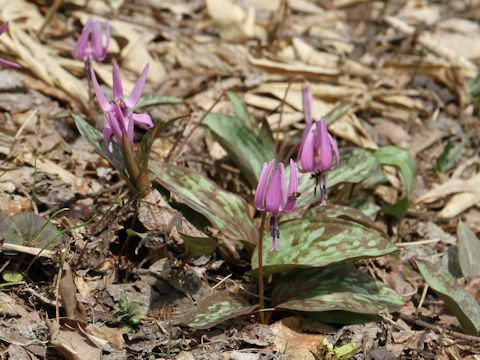 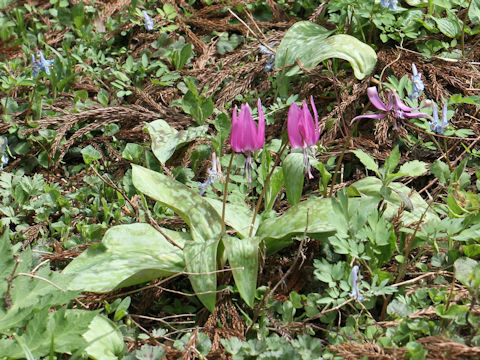 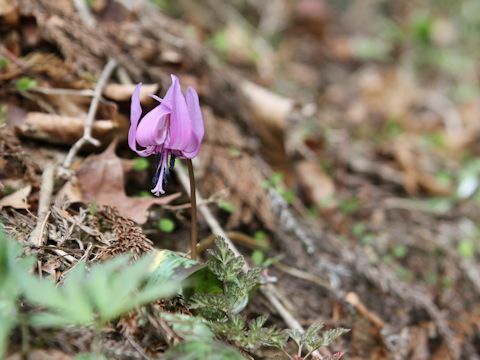 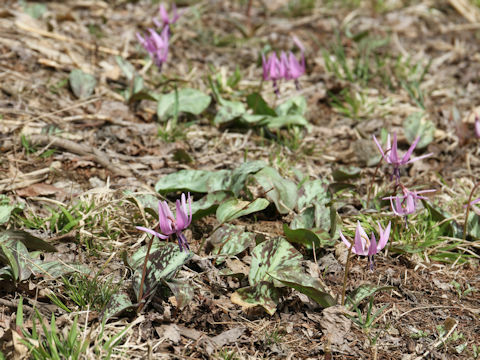 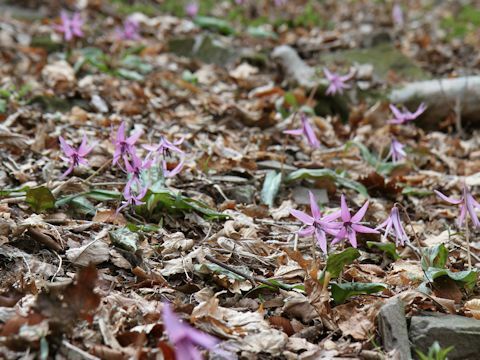 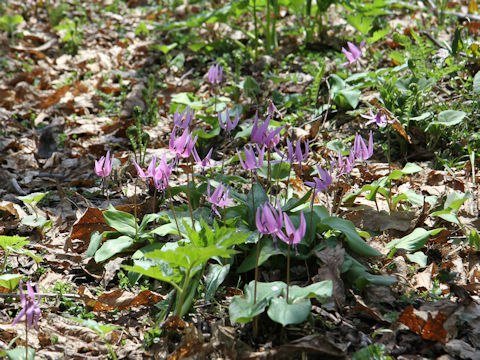 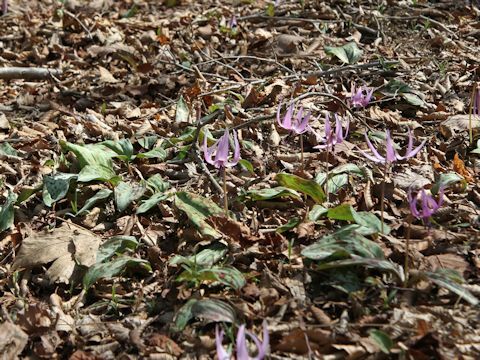 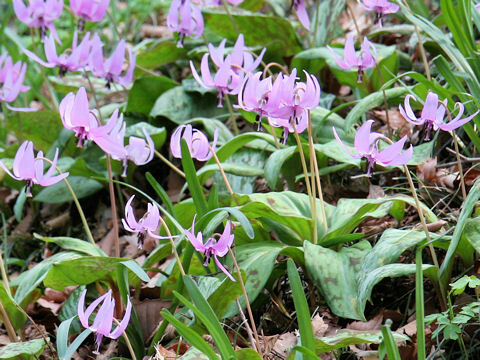 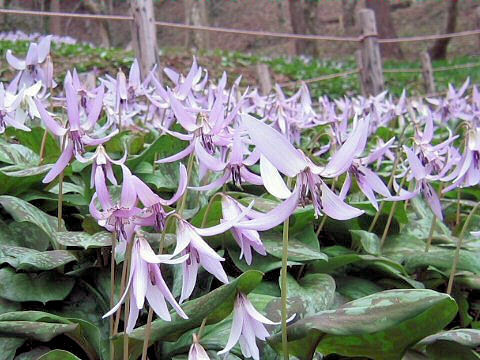 Katakuri (Erythronium japonicum) belongs to the Liliaceae (the Lily family). 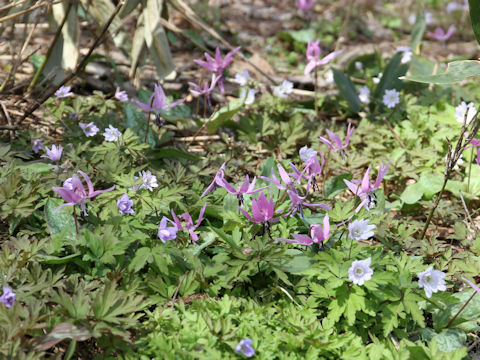 It is an evergreen perennial herb hat is native to Japan, as well as the Korean Peninsula and China. 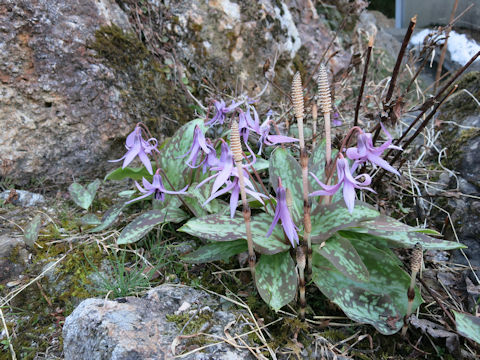 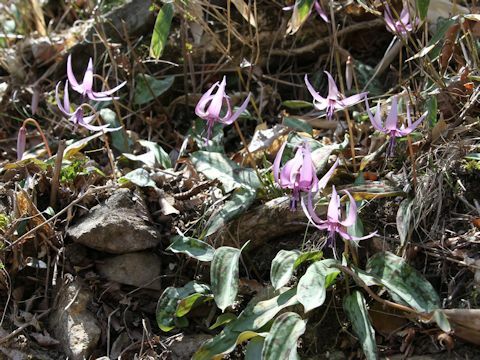 This herb grows in north-side palces of hiiside and moutain, and clumping. 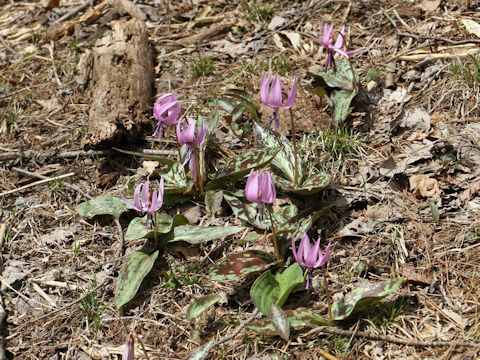 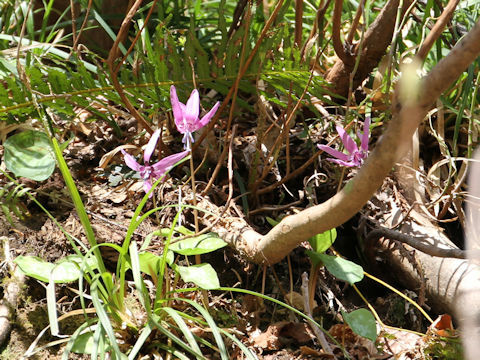 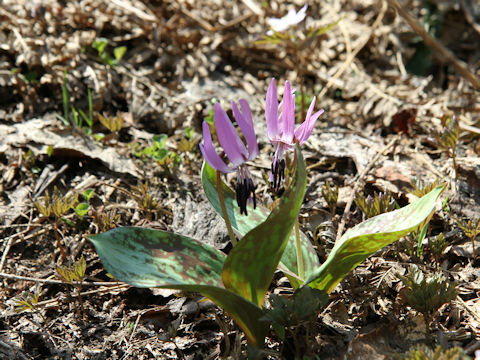 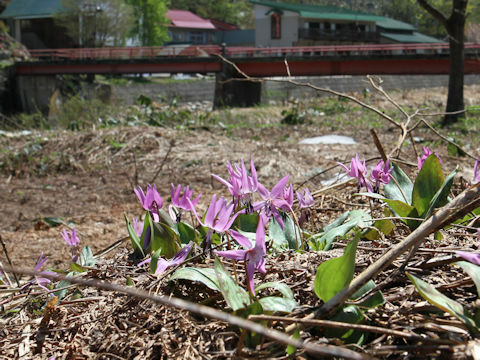 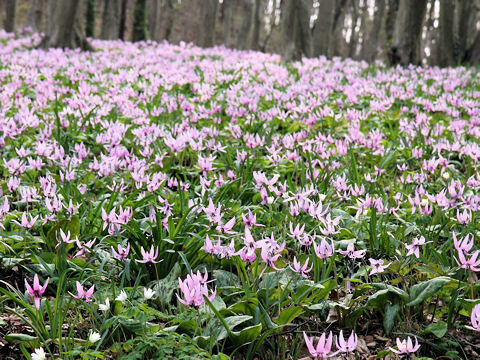 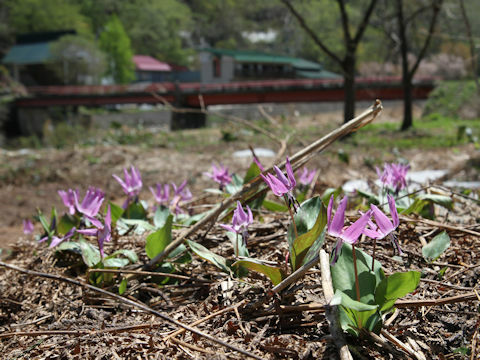 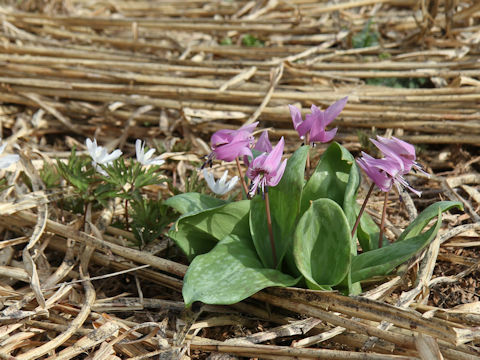 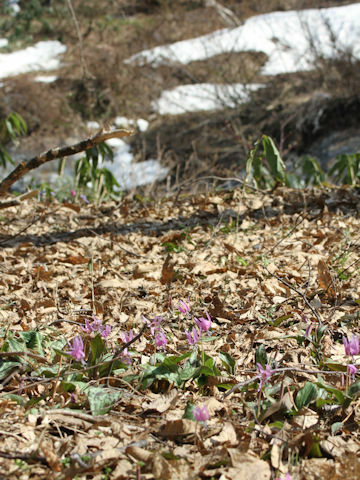 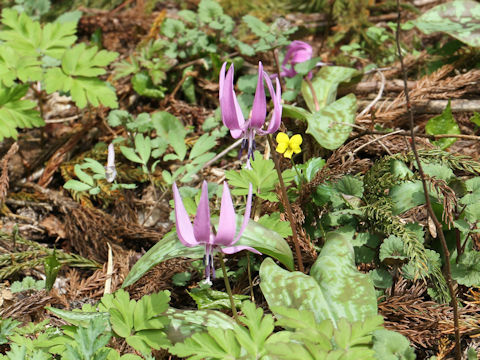 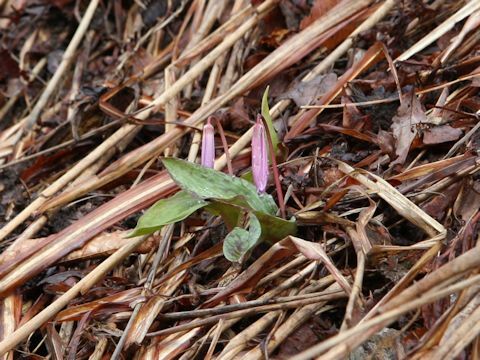 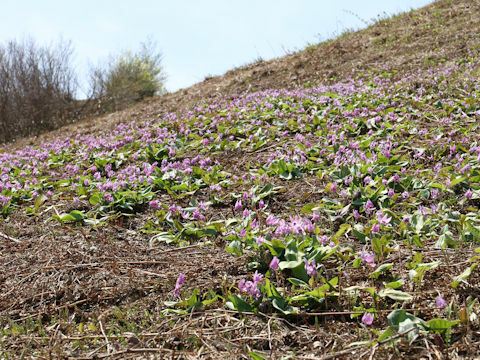 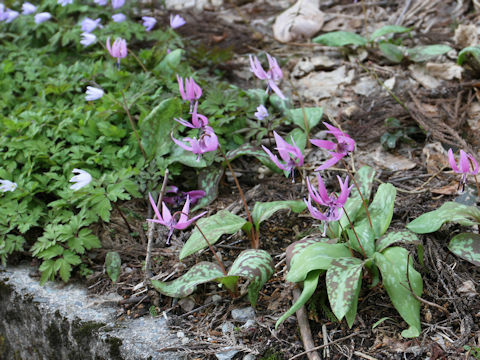 The pale magenta flowers come on the stalks about 15 cm high from February to May. 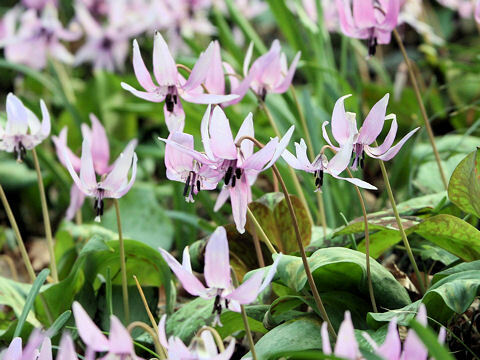 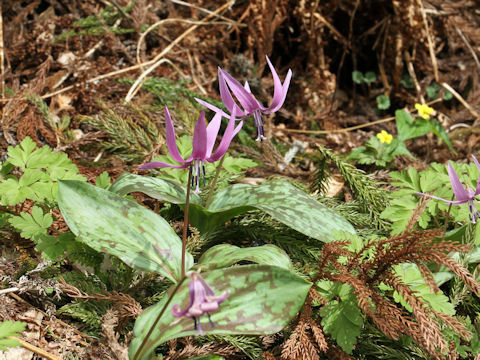 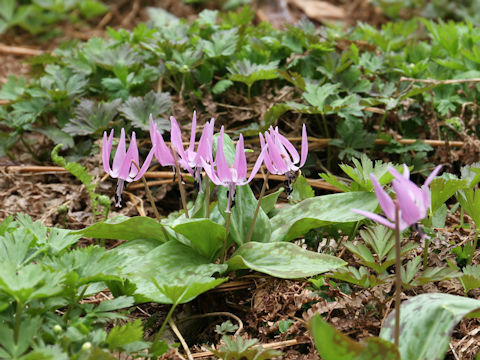 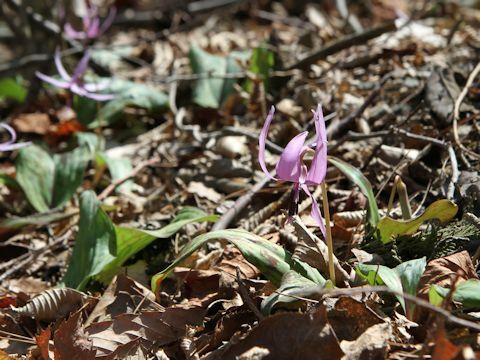 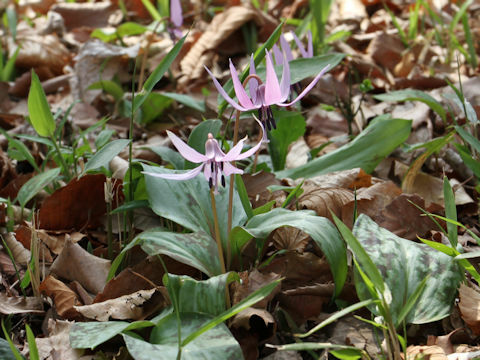 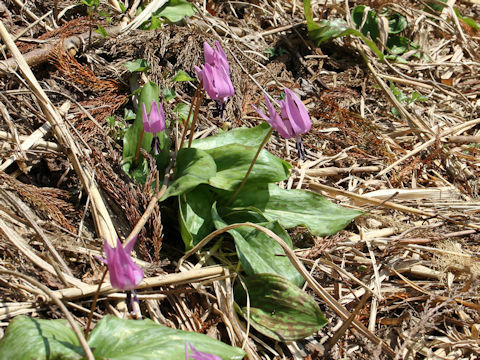 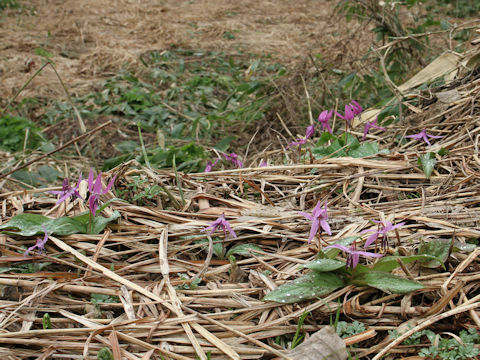 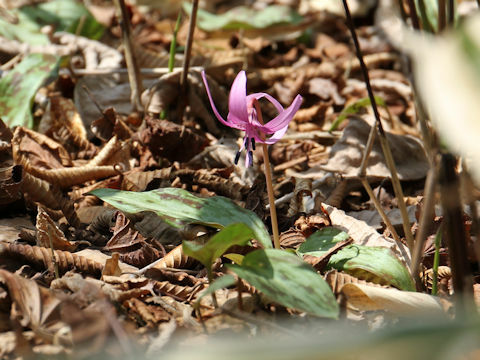 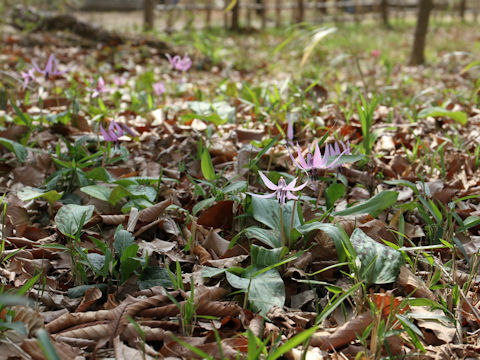 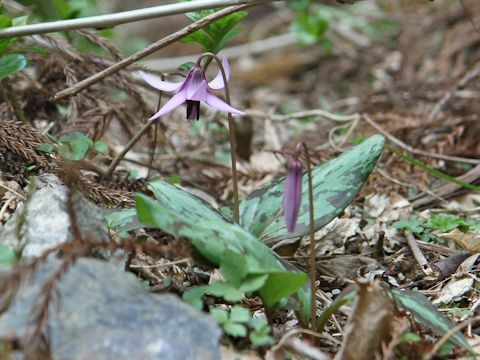 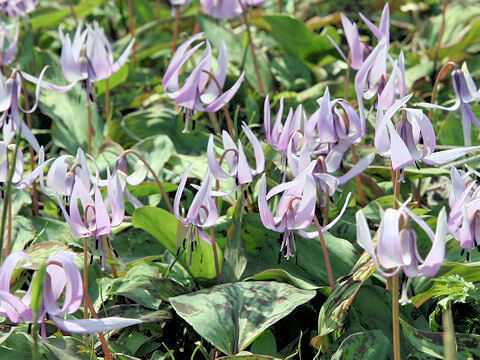 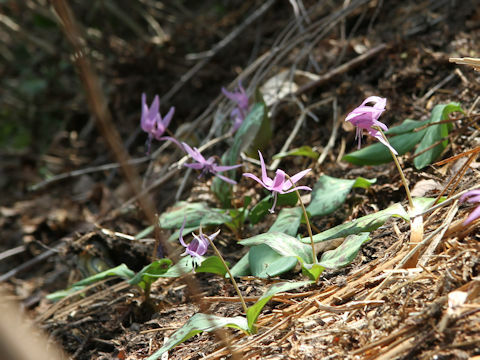 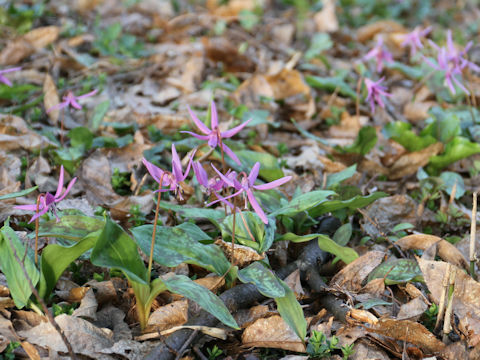 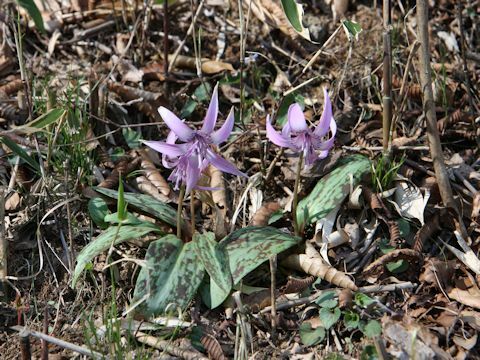 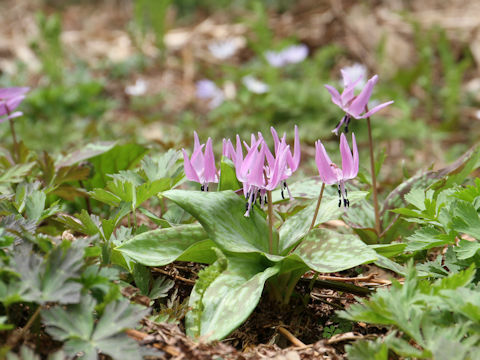 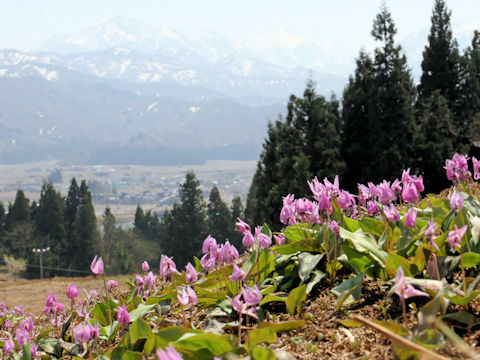 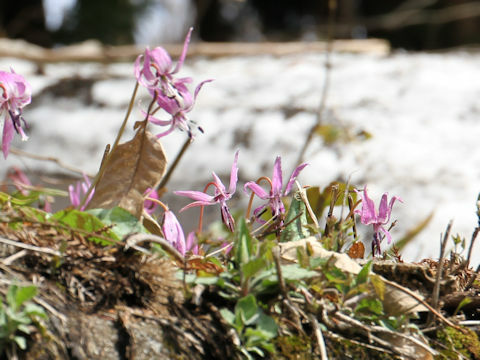 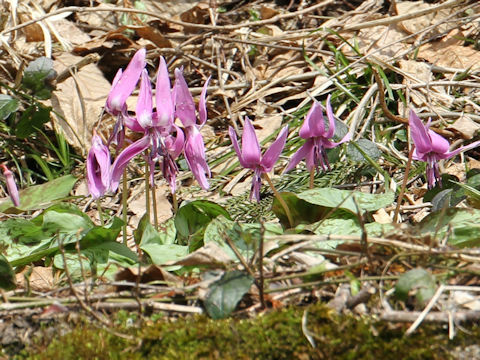 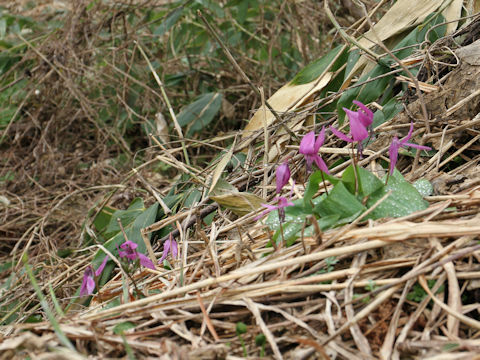 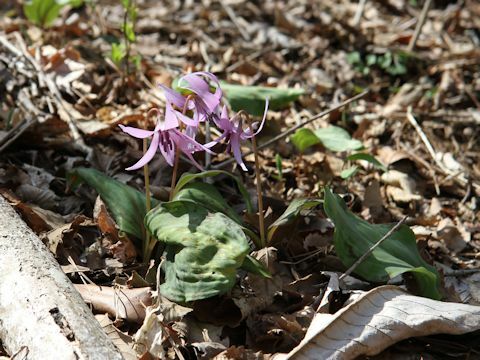 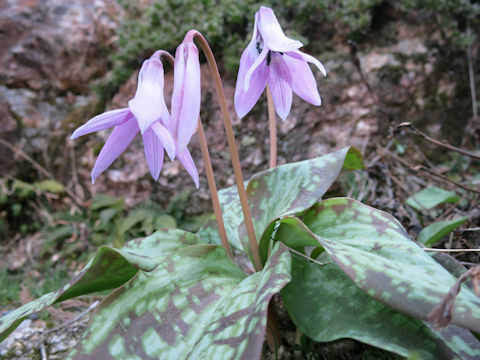 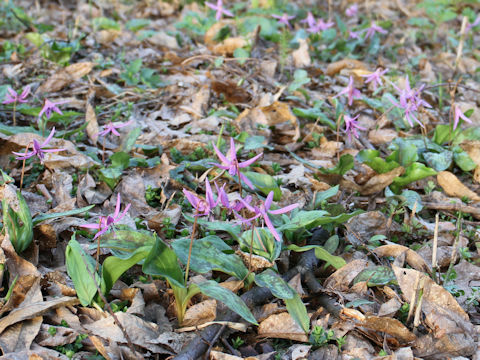 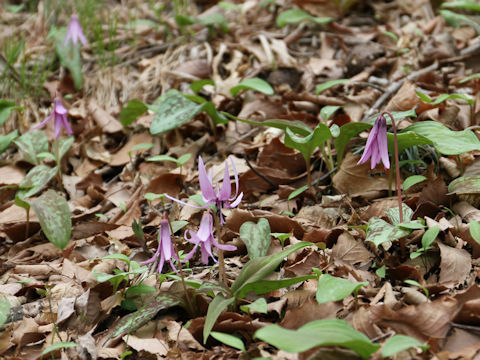 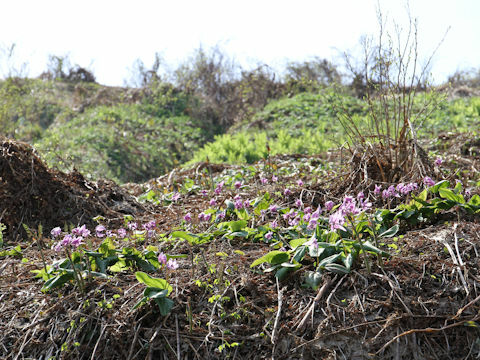 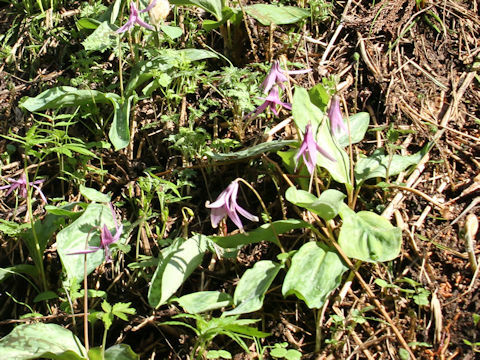 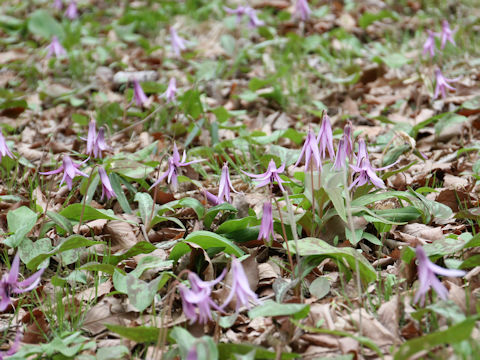 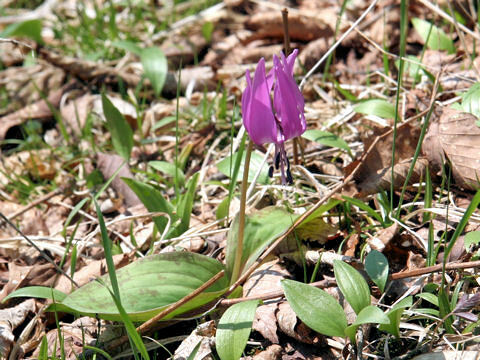 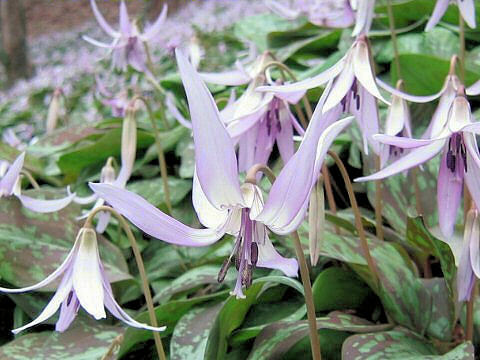 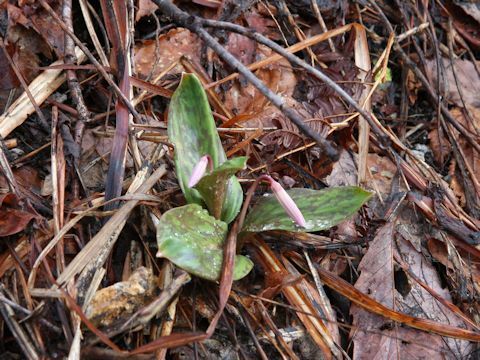 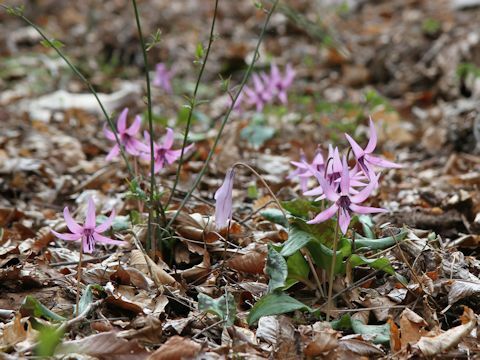 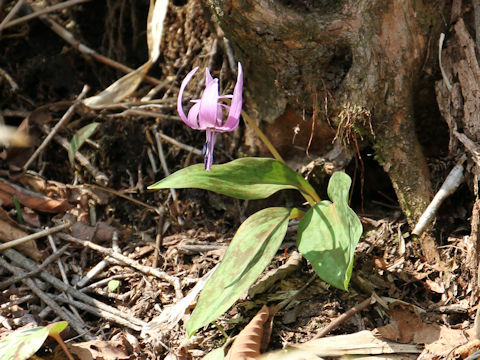 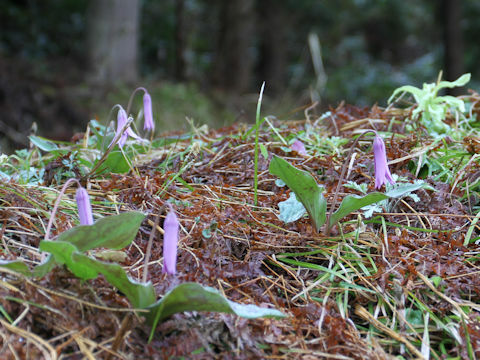 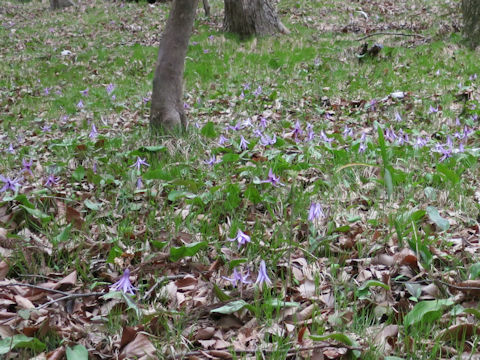 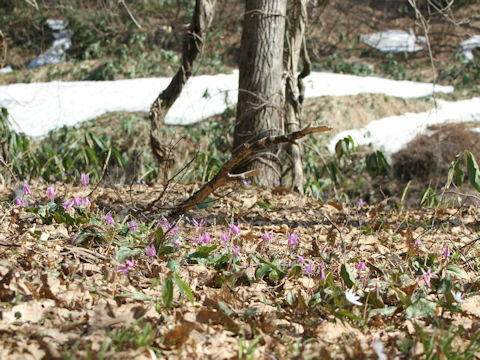 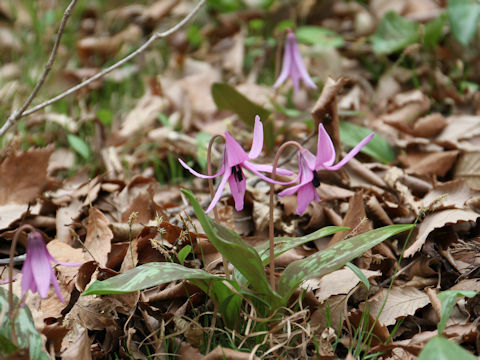 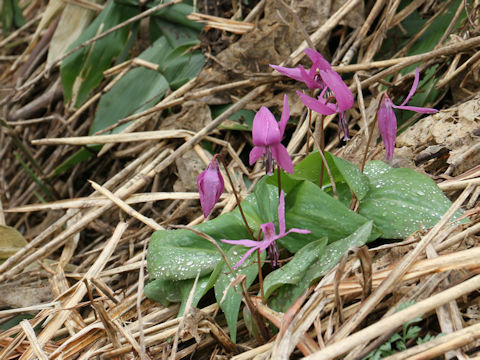 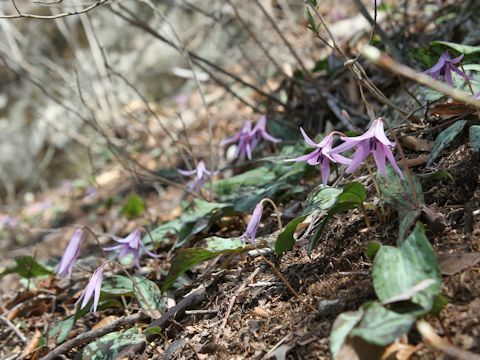 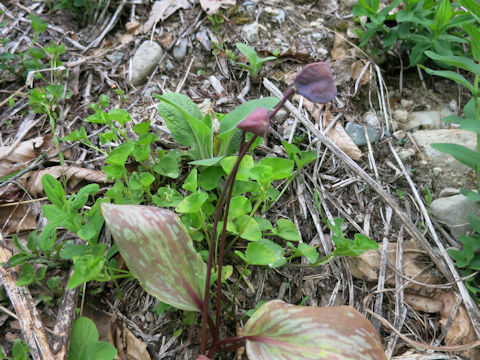 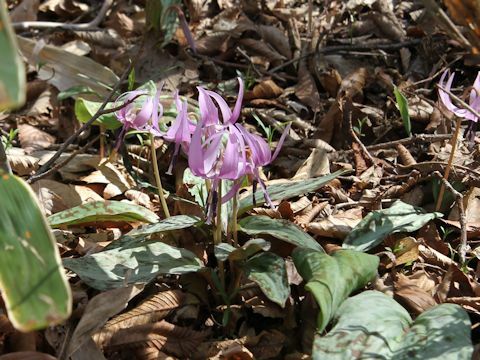 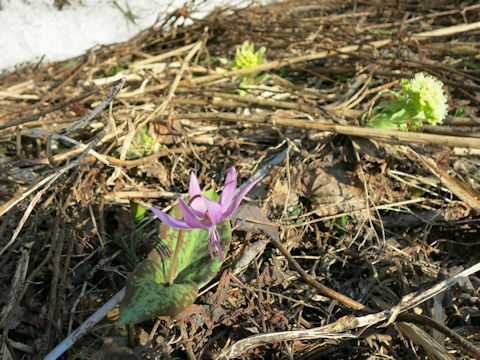 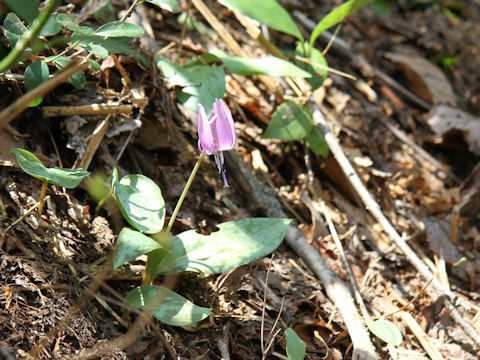 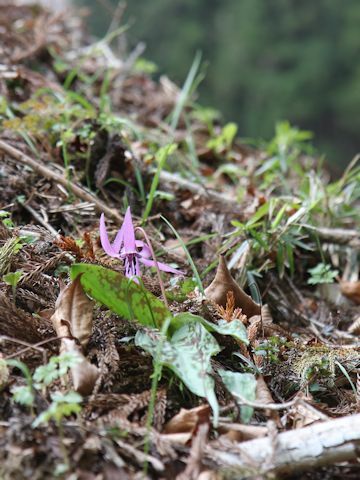 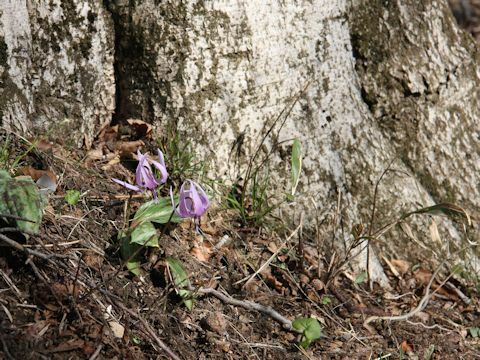 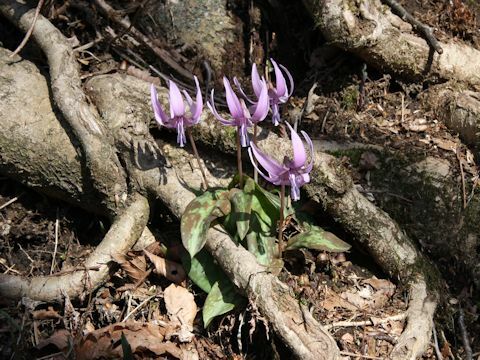 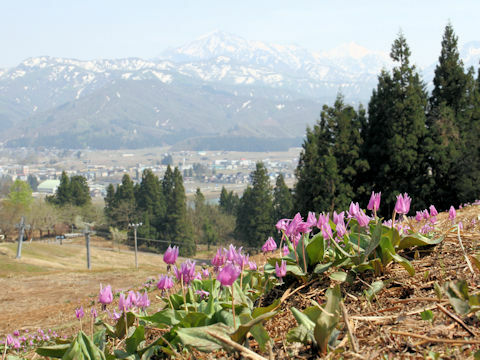 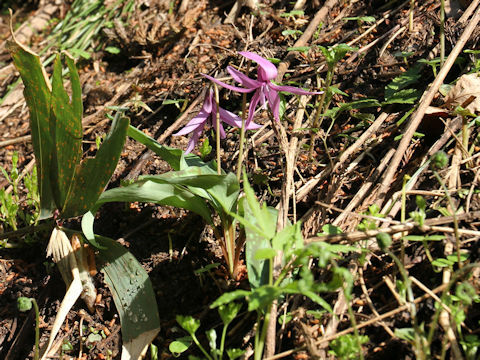 The dogtooth violet starch is obtained from the bulbs. 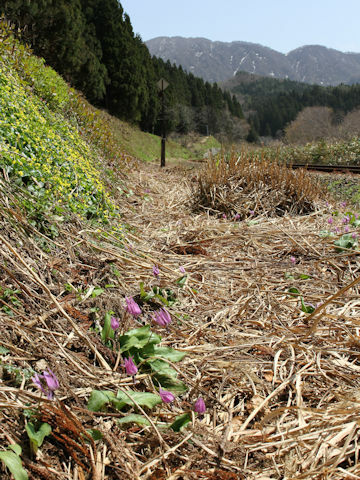 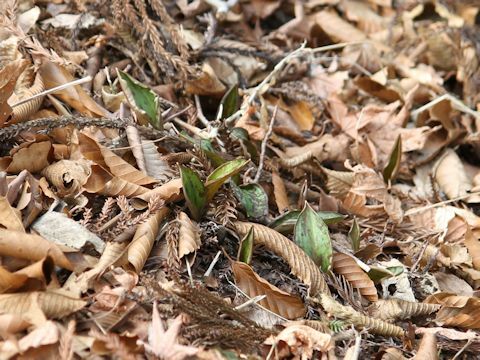 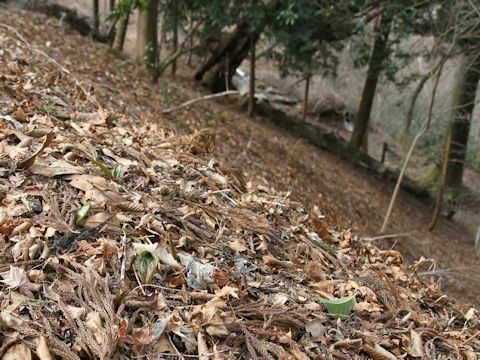 The leaves and flowers are used for wild vegetable in Japan.